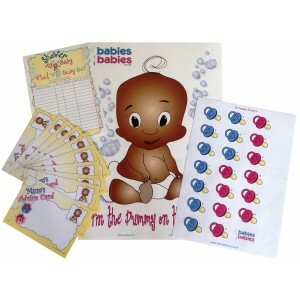 Three of the best Baby Shower Games - Ethnic Baby are fun and ever popular printed party games designed by Babies Babies with our ethnic baby design. 2. 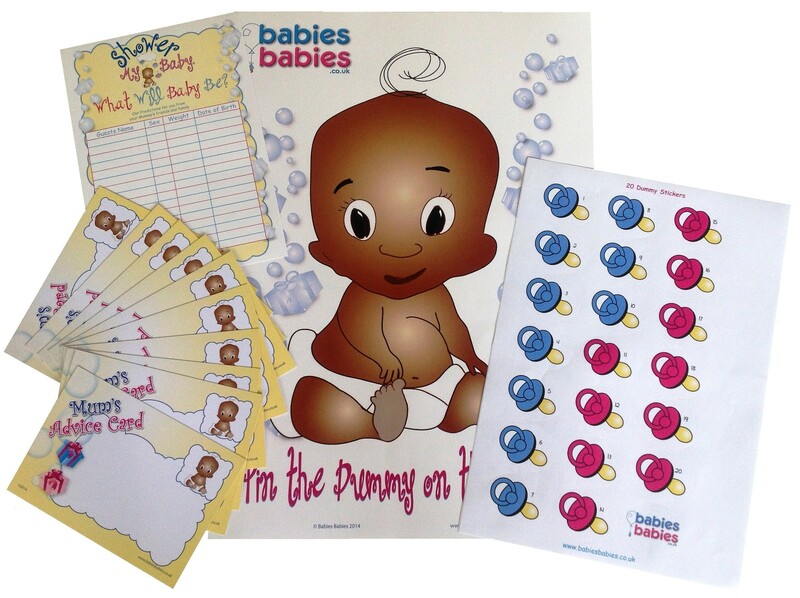 Our very Popular Pin the dummy Game - A3 Glossy Poster with our very cute Baby, 20 Adhesive dummies, 2 prize labels & Hand print keepsake ( A4 printed card for Mum to put hers and baby's 1st hand print onto. She can then frame this for Baby's Nursery or put it into her Baby Shower scrapbook or Keepsake Tin). Blind folded guests stick an adhesive dummy onto the baby & the closest to the baby's mouth wins the game. Remember to write each guest's name onto her dummy. Such good fun! 3. 10 Individual quality printed cards for your guests to write their words of wisdom, best wishes & advice then leave with Mum-to-be. A lovely keepsake for her as well as getting lots of useful tips from her friends and family. 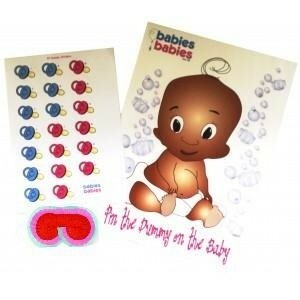 These are a must have activity for every Baby Shower & are a real favourite. A fun thing to do at the Baby Shower! 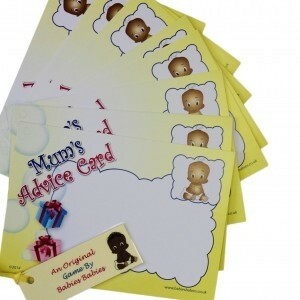 You can also add additional Advice cards for more than 10 guests for only 15p each.